Special Offer: Be a map and compass master. For a limited time schedule a Full-Day or Two-Day Wild Nav courses and on the day of your class receive one-per-person brand new Suunto Compass, still-in-the-package, Model A-10 NH (a retail value of $20.99). 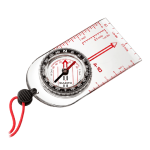 To claim your free compass, book a class today simply type in code COMP16 when booking. Offer expires December 15th, 2016 so be sure to book your class before then. We want to get out there before the low snows settle. This offer cannot be combined with other offers. Limit one compass per person per full- or two-day booking. Void where prohibited… as if. The Suunto A-10 is a basic magnetic baseplate compass, yet it offers everything found on much more expensive compasses and, really, is all that’s needed for navigational use in the backcountry — plot, shoot, follow — (barring an inclinometer useful to those heading into avalanche terrain). We use the A-10 ourselves along with the A-30 (this one has a magnifier that those with reading glasses can benefit from). Get your A-10 compass now. Check out the course details, then book a class today.